◆ Featuring tapered and slender head for work in restricted area. 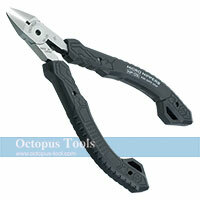 ◆ ESD-safe handles made of thermoplastic elastomer(TPR). 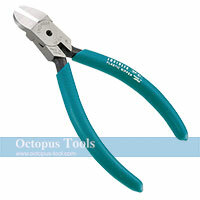 ◆ Ideal for cutting and trimming on plastic parts and leads on circuit board. 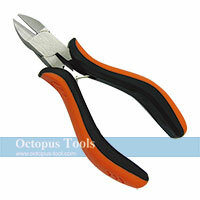 ◆ With coiled spring, specially designed for professional users. 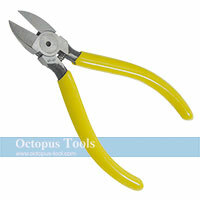 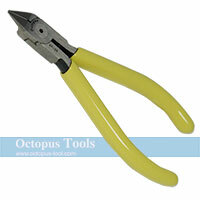 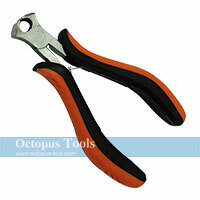 ◆ Holes in the end of the handles prevent pliers drop to the floor and can be used to link together with keychain.